According to documented family research old Thomas Collins Sr. born before 1710 was the father and or grandfather of the historical Tennessee Melungeon Collins. At least one of Thomas Collins parents (unknown) was probably full blood Saponi Indian. 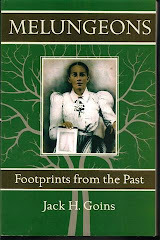 Collins family history handed down from father to son was; "The Collins were living in Virginia as Indians before they migrated to North Carolina, and they stole the name Collins from white settlers" ( Will Allen Dromgoole's 1890 interview with Calloway Collins, (Melungeons And Other Pioneer Families.) Other Collins men who were associated with Thomas Collins Sr. in New Kent, later Louisa County, Va. were probably his brothers. They were Samuel Collins, John Collins and William Collins. This party of Saponia ( Monasukapanough) Indians left that county and some of these may have been the same group that formed the settlement near Hillsborough, North Carolina in 1750. Which was the same neck of the woods where old Thomas Collins migrated, as we follow him through land transactions. (Ref in Melungeons And other pioneer Families). 1748 Gilbert Gibson's Will was probated in Louisa County, Va. Names of sons Gideon, Jordan and George Gibson. (Melungeons And Other pioneer Families) 1749 Thomas Gibson (alias Wilburn) and wife Mary sell land to Thomas Moreman on the South side of the Pamunkey River adjoining Gilbert Gibson's land. Signed by his mark Thomas Gibson "T". (Melungeon and Other Pioneer families) Thomas Gibson mark was a 'T' and George Gibson mark was "G" They used these marks when they eventually sold land in Orange county, NC. The 1750 tax list of Granville County, NC list the following: William Bowling 1 tithe, James Bowlin 1 tithe, Gideon Bunch 2 tithes (Micajer and William), Thomas Collins Sr. 1 tithe, Samuel Collins 1 tithe, John Collins 1 tithe, Thomas Gibson with tithes Charles and George Gibson. Thomas Collins Sr. b 1710 , probable children were; Thomas Jr. b 1728, Joseph b 1730, Samuel b 1732, John b 1734, George b 1736, Elisha b 1738. They settled on the Flatt River as the following records reveal. "Land Grants from the Earl of Granville to the earliest settlers, The Granville Dist. Of N.C. 1748-1763 Vols 2 & 4 by Hofman." 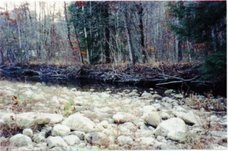 29 Oct 1751 -Grant to William Churton, 640 acres on the south side of Flatt River joining John Collins on the Rocky Branch. Grant is for warrant issued to Thomas Gibson (#3775) 1752. 250 acres to Thomas Gibson on the Flatt River. 28 Oct 1752 640 acres to Joseph Collins on the South West side of the Flatt River Witness- Thomas Collins and James Lilkemper. Wherever these people who's children became known as Melungeons migrated, they always left a few behind. Although those left behind were never labeled Melungeon they were "kin to the people who later became known as the Melungeons of Newman Ridge". A few stayed on the Flatt River, some migrated to the territory that became South Carolina, some to Pittsylvania County, Virginia. A Collins family along with Moses Riddle and some of the Bolen's moved to Pittyslvania County, Virginia before 1767 and had land entries on the Sandy River. The 1767 Tax list of John Wilson, Pittsylvania County, Va. records: Moses Ridle (an Indian), William Ridle, Peter Perkins List records; Christopher Bowlin, and son William, Christopher Bowlin Jr. James Bowlin, Joseph Bowlin. Thomas Collins Sr. may have died in Orange County around 1770 but, most of his children migrated to the New River area of Virginia and North Carolina. 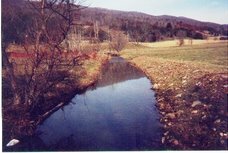 The Collins and Gibsons began selling their land on the Flatt River in 1767-70 and moved to the back woods sections of the New River where some were listed on tax records in Fincastle County, Va., as "living on Indian Lands"
The deed records of Thomas Gibson land sale in Orange County, establishes him as the same Thomas who sold his land on the Pamunkey River in Louisa County in 1749 when he made his mark "T". Thomas Gibson made a land entry on 9 June 1780 on Cranberry Path in Wilkes Co., N.C. This land was near the South Fork of New River in present day Ashe Co., N.C., entry # 1858. (Wilkes County, North Carolina, Land Entry Book 1778-1781) Thomas Gibson's family migrated to Fort Blackmore before 1800. And Joined the Stony Creek Baptist Church beginning in 1801. Most of this family moved to Newman Ridge in Hawkins County, Tn.,beginning in 1804 and most were gone by 1808. The Church Minutes records them coming back for meetings and some were brought before the church for drinking and fighting, such as Charles Gibson. The first written record of the word Melungin is recorded in the 1813 Minutes of Stoney Creek Church. "Then came forward sister Kitchens and complained to the church against Susanna Stallard for saying she harbored them Melungins"
1802 Tax List for the Lower District of Russell County, VA that became Scott County in 1815 and number of males 16 or over Collins, Valentine 1- Charles Gibson, 1- David Gibson 1- James Gibson 2- James Gibson 0 - Martin Gibson 1- Molly Gibson 2- Ruben Gibson 1- Samuel Gibson 1-Sharud Gibson 1- Thomas Gibson 1-William Gibson 1-Willis Gibson 1-Benjamin Bolin 1- William Bolin 1. Jesse Bolin became pastor of Stony Creek in 1802. Charles Gibson son of Thomas and Mary filed a Revolutionary War Pension Application (R3995 Applied in Hawkins County, Tennessee 19 Jan 1839. He gave his age as 92 but, was 100 years old if 16 when he was listed as a tithe of Thomas on a Granville County, NC tax list. He gave his place of birth as Louisa County, Virginia, entered the service near Salisbury, North Carolina. Benjamin Collins, Jonothan Gibson, and Jordan Gibson swear that he is reputed to be a Revolutionary Soldier in their neighborhood.. The Thomas Collins children settled in what is today Grayson County, Va., and Ashe County, NC. George Collins testified in a land dispute in Grayson County, Virginia in 1808 that he settled on the land in 1767. Their arrival on the New River is documented by a Botetourt County, Virginia tax list. (Kegleys Early adventures on Western Waters) Number of males over 16. Charles Collins 1, John Collins 4, Samuel Collins 2, Charles Sexton 1, Mckegar Bunch 1, William Sexton 1. A 1778 tax list of the area of Wilkes County that became Ashe in 1778; Ambrose Collins, Charles Collins, Samuel Collins, David Gibson, Micajer Bunch, David Collins, George Collins, Julius Bunch. You may note some of these same people were on the Ficastle list, The reason for this is they may have been next door neighbors because they were in the area that became Ashe North Carolina and Grayson County, Virginia in 1790. Montgomery County was formed from Fincastle in 1777.. 1782 tax list includes; Martin Collins 1, John Collins Sr. 1, John Collins Jr. 1, Lewis Collins 1, Milton Collins 1, Ambrose Collins 1, David Collins 1, David Gibson 1. The 1782 list of Wilkes County is the same as the 1778 list except for Thomas Gibson. Lewis Collins above was the son of John Collins Sr. He Applied for a Rev. War Pension in Hawkins County, Tennessee while living in Granger County, Tn. on 16 Aug 1834 # (S2142). "First entered the service in 1778 while living on the Broad River in South Carolina. Moved back to the new River in Montgomery County, Virginia where his Father lived and enlisted there in 1780. Lewis did not tell the whole story, he was actually a Tory in 1780 and probably in William Riddle's gang. According to the affidavit below he escaped, but his name is included with the group of Tories who raided Capt. John Cox home on the new River, some of these took the Oath of Allegiance to escape punishment. This affidavit by Joseph Collins was included in Selethiah Martin wife's application "Was a small boy in 1780 when Captain Martin came to the New River in Virginia and captured a group of Tories camped at a Rock House on the river, two of those captured escaped the next night: David Gibson and Lewis Collins, I am intimately acquainted with both men and have heard them tell how they made their escape. John Speltz in his Revolutionary Pension Application told this almost identical event. He said there were nine captured and two Nichols and Riddle were hung on our return. William Riddle and his brother in-law William Nichols were both hung but not together, so this man Speltz was telling about an event that happened after these nine were captured, thus the hanging of Nichols and Riddle. 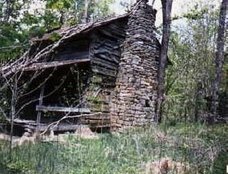 Who were the Melungeons? 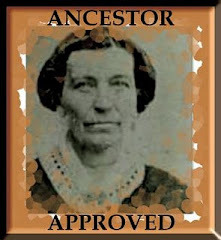 Their fore parents were part of the original pioneer settlers. Living on Indian lands, this is as pioneer as it gets. Some where in the battle at Point Pleasant including Thomas Collin's son John Collins who served 35 days. Their rifles were heard at Kings Mountain and in Yorktown, at the surrender of Cornwallis. Some made the 52 + year journey from the Pamunkey River in Virginia to Newman Ridge, such as Charles Gibson. Charles lived to be at least 110 years old. He was probably present when they first heard the word, "Melungin". Sneedville attorney Lewis M. Jarvis (born 1829) knew many of the first Melungeons including Vardy Collins. In an interview with Hancock County Times in 1902. Jarvis named James Collins, John Bolin and Mike Bolin as quite full-blooded Indians. Jarvis said the Melungeons were originally the friendly Indians who came with the whites as they moved west. They came from the Cumberland County and New River in VA, stopping at various points west of the Blue Ridge. Some of them stopped on Stony Creek, Scott Co, Virginia (Ref in Melungeons and Other Pioneer Families. from 1994 Hancock Co.,Tn..And It's People Volume 2) What makes Lewis Jarvis testimony of more value than most, is because his migration pattern for the Melungeons can be and has been proven correct in Church, Land, Tax and Military Records.